Course Description: This course emphasizes the consolidation of the literacy, communication, and critical and creative thinking skills necessary for success in academic and daily life. Students will analyse a range of challenging literary texts from various periods, countries, and cultures; interpret and evaluate informational and graphic texts; and create oral, written, and media texts in a variety of forms. 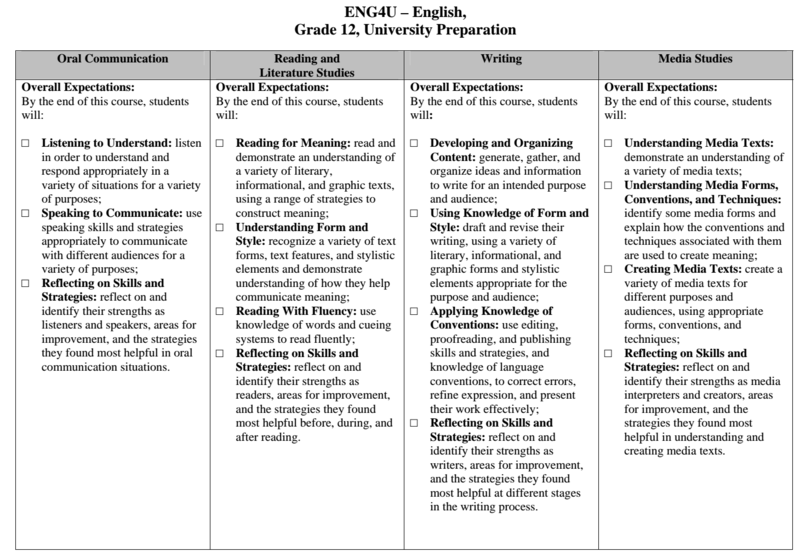 An important focus will be on using academic language coherently and confidently, selecting the reading strategies best suited to particular texts and particular purposes for reading, and developing greater control in writing. The course is intended to prepare students for university, college, or the workplace. Shakespeare’s Hamlet will be read in this unit. Students will review the history of William Shakespeare, the Elizabethan era and the language used in Shakespeare’s writing. Students will participate in various interactive activities to aid students in the understanding of the themes, methods of characterization, and the use of supernatural in the play.